PRO Paintball insiders report that Shawn Walker (of NPPL and RPL fame) is in negotiations with Rich Telford. Word is Shawn & DGX paintball would like to buy an ownership position in Sacramento XSV. Rich Telford would continue to Captain and field the pro team and all final team-oriented decision making would remain with him. Sources suggest Shawn is interested in leveraging the Sacramento XSV brand to draw outside sponsors into paintball to support his league and XSV. DGX Paintball is Planet Eclipse West Coast Service Center. DGX’s involvement signifies that a deal with Planet Eclipse is a possibility for the 2011 season. Shawn Walker runs the RPL paintball league and has partnered with Sacramento XSV to reff his events and provide clinics for players. We expect that with Shawn involved in ownership and potentially funding the team that the players would continue to work with his RPL paintball series. Sacramento XSV skipped PSP World Cup due to lack of funds. 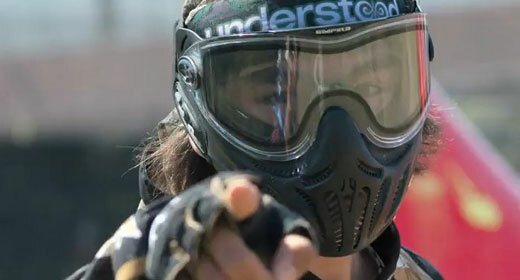 The team has indicated that they will be competing in one of the two pro paintball series in the 2011 season but as of writing no decision has been reached. In Monday’s NPPL Rumor report, we mentioned that the RPL would be a feeder series to the NPPL. Based on the above information, our guess is that XSV will be competing in the NPPL in 2010. Adam and Billy Gardner were spotted at PSP World Cup making their rounds and talking to several big players in the paintball industry. According to sources, the Gardners are interested in bringing back the Pittsburg All Americans. After the Smart Parts bankruptcy the Gardners went off the radar, presumably to focus on rebuilding their paintball business. World Cup 2010 saw the re-introduction of the Luxe paintball gun with several improvements. Long time All American player Darryl Trent has been a major player behind the scenes at DLX. He has been hard at work developing a Luxe 2.0 and another DLX marker and we anticipate that he will be very much involved should a revival of the All Americans come to fruition. Stay tuned for part 3 of our PRO Paintball Rumor Report as we share the latest rumors and news surrounding Chicago Aftershock, San Diego Dynasty, Tampa Bay Damage, San Antonio X-Factor and many more.